Google has just released the new Developer Preview of the next version of Android, whose name begins with P. There are a lot of new aspects of the Beta, both in terms of graphics and functions. So let's take a first look at what the Mountain View company has given us at the beginning of Google I/O. For the first time ever, the Developer Preview is available in beta for some non-Google smartphones. There are 7 partners for the program. Sony, Xiaomi, Nokia, OPPO, Vivo, OnePlus and Essential have teamed up with Google to allow their users to the Android P preview. Part of the credit for this is sure to be attributed to Project Treble. Is the beta available for your device? Find out here. The new Android dashboard will be the control hub for the time spent on your device. To help its users reduce their smartphone dependency, Google has introduced a "control center" that shows how much time we've spent in each app, how many times we've unlocked the phone and other useful information. For example, developers can use the Dashboard to show data specific to their app, for example YouTube will show how many minutes of video you've watched, among other things. Through the Dashboard you can set a maximum time limit for the use of a given app or apps. Once the app is used for the chosen period of time, the application icon will be grayed out and blocked to discourage you from using it. The option can be deactivated from the Dashboard at any time, but obviously the purpose of this function is to help you, so keep it activated! One of the most useful functions to reduce smartphone dependency is Wind Down. You can inform your Google Assistant of your bed time: when the time comes, the entire UI of Android turn grayscale to be less attractive and help you stop using your smartphone and get to sleep faster. The DND function will be activated automatically. Within the Android P app drawer we will now have access to new suggestions called App Actions. They work similarly to the 5 applications suggested at the top of our app list. Our smartphone will be able to suggest quick actions like "Call Mom" ​​or "Send a message to Jessica" based on our habits. The most obvious news compared to the first Developer Preview of Android P is certainly the presence of a new navigation system, which is optional for now. Going to Settings > System > Gestures, we can activate the new navigation system. Say goodbye to the recent apps / multitasking button: to open the list of open applications just scroll up from the home button. By keeping the button pressed and scrolling to the right, you can scroll through the various open apps without lifting your finger from the display. The back button is no longer white, but is transparent inside using this new navigation system. The screen of recent / open apps is now organized horizontally for easy reference. At the top of every app on this screen, you can see the icon to avoid the risk of getting confused. From the recent apps screen, you can scroll vertically to access the complete list of apps or the app drawer. Google has shown that smartphones are able to learn from how you use them. In this second preview of Android P there is a new feature called Adaptive Battery which will adjust the battery consumption of various apps based on your usage patterns. The longer you leave this system active, the more effective it will become. We can say that it is a natural evolution of the Doze system introduced in Android Lollipop. Thanks to this "smart energy saving" system, the operating system is able to adapt to your use and reduce CPU wakeups by more than 30%. Adaptive Brightness works similarly but with regard to the brightness of your device's display. In addition to adjusting the brightness of the display based on the ambient light level detected by the sensors, Android P is able to adapt to your preferences based on how you have moved the brightness slider in similar situations previously. Both Adaptive Battery and Adaptive Brightness use a machine learning system on the device, you do not have to worry about your data being sent elsewhere. You can try the new preview of Android P through the official Google beta program. Just go to the dedicated page, log in with your Google account and select which smartphone you want to update. The update will arrive directly on the smartphone as soon as possible. 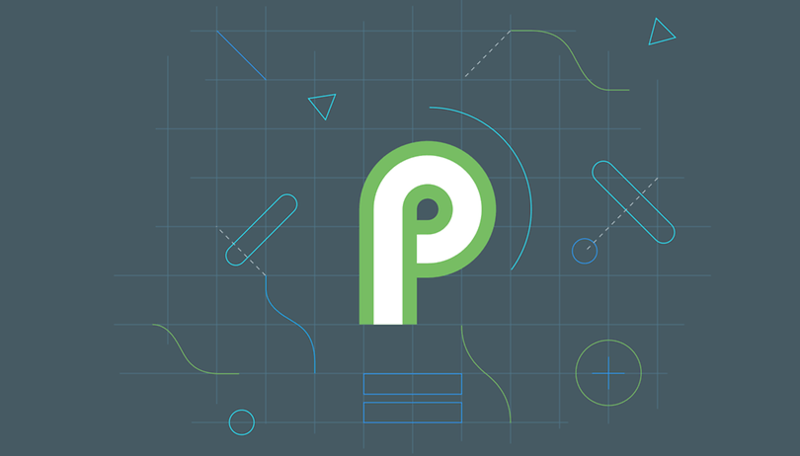 To install the second Android P Developer Preview without going through the beta program you will need some basic requirements. The first requirement is to have the adb and fastboot executables available on your PC as well as the specific drivers for your device. Download the correct package, then just follow our guide on how to install a factory image on a Nexus or Pixel device. The procedure doesn't change. Before proceeding with the installation, I recommend that you back up your data to be safe. What do you think of the new features in the Developer Preview? There is more improvement needed as it is in beta tester. After seeing the preview I think there is major change in UI & Design .